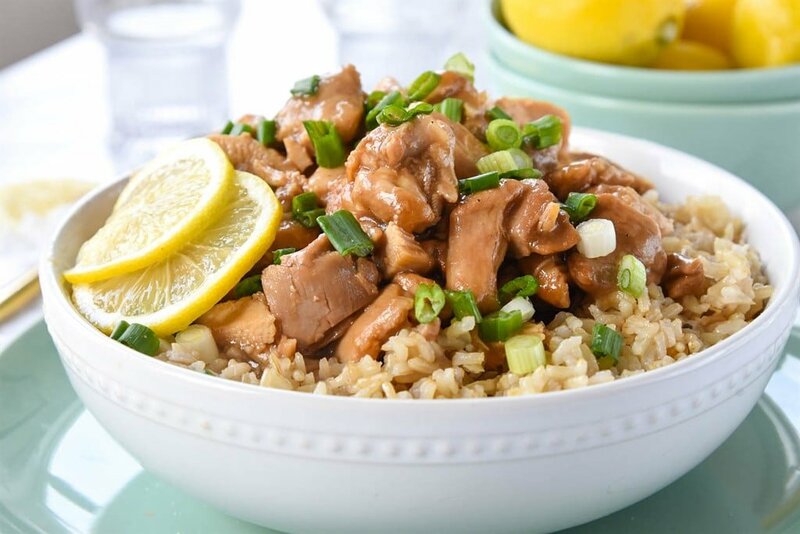 Instant Pot Chinese Lemon Chicken is quicker than take out. 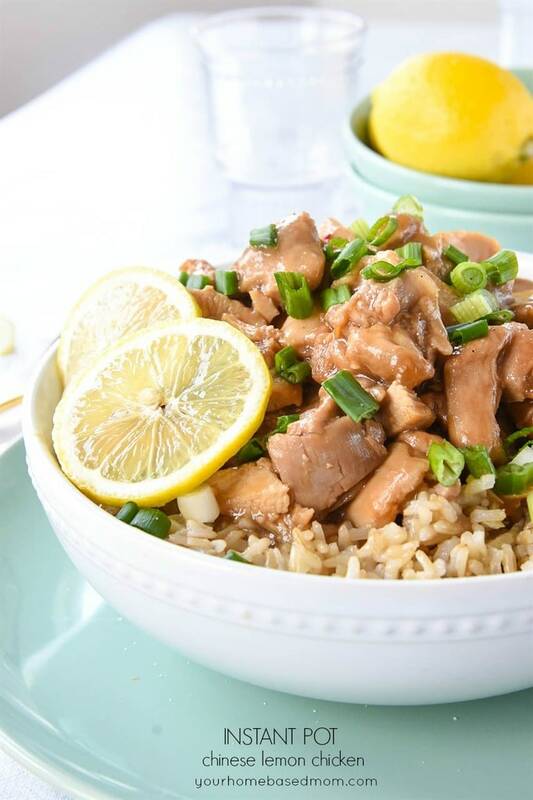 Create a restaurant style lemon chicken in minutes using your Instant Pot. If you don’t have an Instant Pot scroll down for the Crock Pot directions. Later this week I am teaching a class at church on using the Instant Pot. The class is actually Instant Pot vs. Slow Cooker. 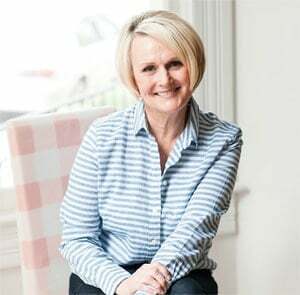 I’ll be talking about the advantages and disadvantages of both, and of course sharing recipes and demonstrating a few recipes. I will also be sharing how you can convert your slow cooker recipes to the instant pot and vica versa. In preparation for the class I’ve been doing some Instant Pot recipe development trying to get more comfortable with the Instant Pot. I’ve shared a few other Instant Pot recipes here on the blog and in fact, my most popular recipe of 2017 was an Instant Pot recipe! This Instant Pot Shredded Mexican Beef is really good! You can find my other Instant Pot recipes here. Today’s recipe for Lemon chicken is going to definitely be a favorite. 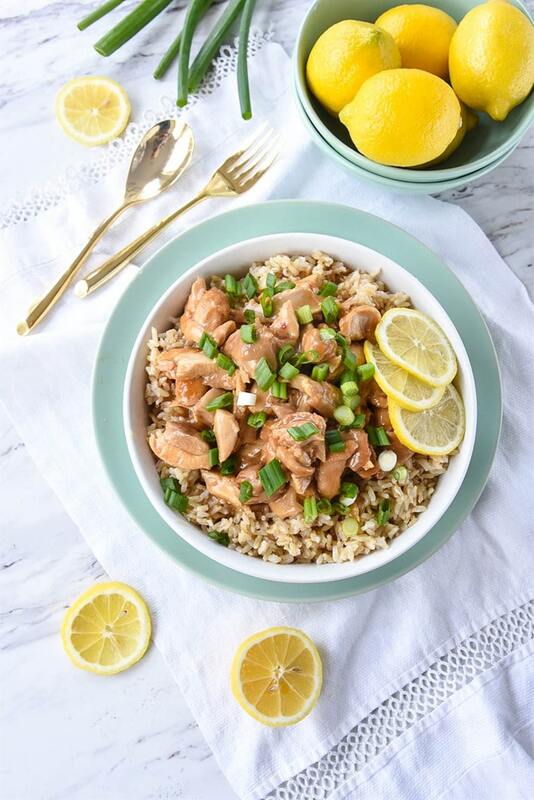 This Instant Pot Lemon Chicken has tang from the lemons but also thanks to some honey and brown sugar it has that sweetness I love in restaurant style lemon chicken without being overly sweet. I love to serve it over brown rice that I also make in the Instant Pot. 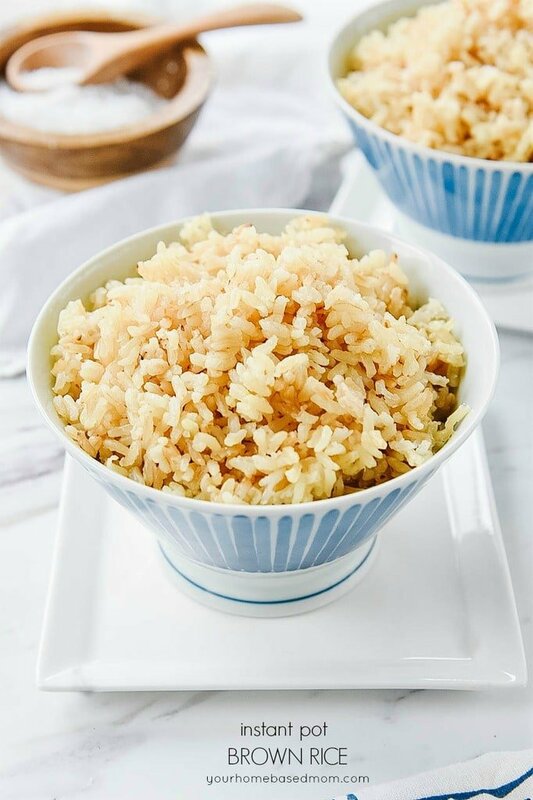 Making rice is the Instant Pot is so easy and it turns out perfect every time. I guess I need to do a post on that! The addition of ginger, garlic and a little red pepper gives this lemon chicken the perfect flavor combo. I like to use chicken thighs but you can also use chicken breasts if you prefer. After the Instant Pot comes to pressure, the chicken only cooks for 3 minutes and then I did a quick release so the total time was about 15 minutes. I can’t even get down to my local Chinese restaurant and home again in that amount of time! Crock Pot Directions: If you don’t have an Instant Pot you can convert this recipe to a slow cooker. If I was using a slow cooker I wouldn’t cut the chicken into bite size pieces but would put the chicken thighs in whole and then cut them up after they cook. Just add the sauce over the thighs and cook it on low for 4-5 hours. Add in the cornstarch mixture the last 30 minutes. Serve over brown or white rice and give it a garnish of green onions to give it some color. Check out some other yummy lemon recipes here: Lemon Basil Pasta – Really Good Lemon Chicken Pasta – Lemon Cream Chicken. LEMON JUICE SQUEEZER – this is one of my most used kitchen tools. Nothing beats fresh squeezed lemon juice and this guy makes it so easy. MICROPLANE ZESTER– this is the perfect tool for zesting lemons or limes. I use mine on a daily and weekly basis. INSTANT POT – This 6 qt electric pressure cooker helps cook dinner quicker and easier! Has 7 different functions. 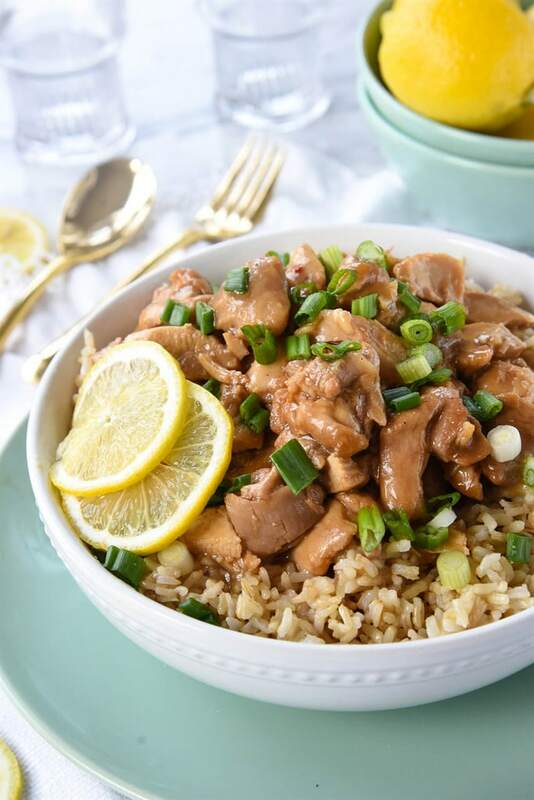 Instant Pot Chinese Lemon Chicken is quicker than take out. 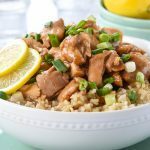 Create a restaurant style lemon chicken in minutes using your Instant Pot. Trim fat off of chicken thighs, cut into bite size pieces and put into Instant Pot. Mix together all remaining ingredients except for cornstarch, water and green onions. Pour over chicken. Lock on lid and select manual, high pressure and set to 3 minutes. When cook time is over do a quick release. Carefully remove lid. In a small bowl combine cornstarch and water, stir until smooth. Add into pot. Turn pot onto saute and simmer until sauce thickens. Serve over rice and topped with green onions. 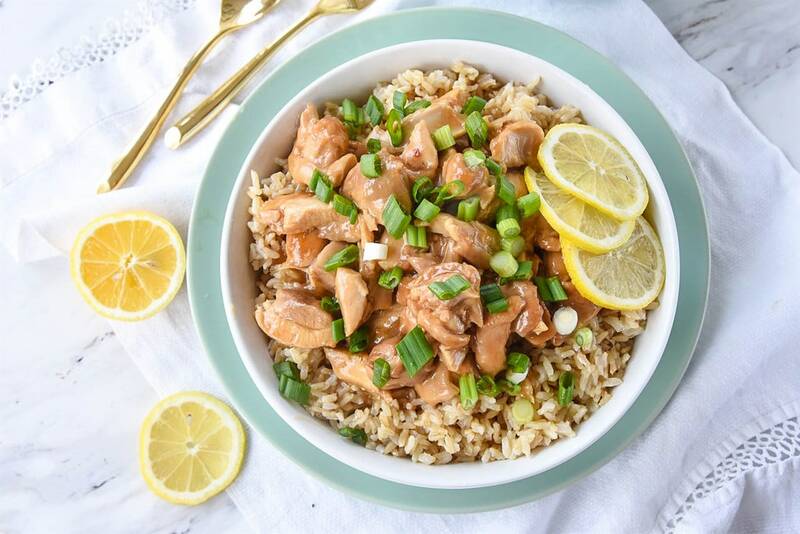 This lemon chicken recipe looks so good but for those of us who don’t have an instant pot, is there a slow cooker or stove top version? Yes, and I explain how to do that at the end of the post. Oh, how I wish I could come to your class! Any possibility you could record it and post it on your blog? I am a crock pot lover and have been for years, and just got an instant pot for Christmas, and am wondering what to do. If you could record and share it, that would be awesome!! Thanks! Jen, I’m thinking about doing a Facebook Live with the info next week. This looks like a great recipe. I will try it this week! Did you know that you can cook Rice in your Instant Pot at the same time as the chicken. Just put in a small heat-resistant pan (I use a 6-inch Wilton cake pan) and put the pan directly on top of the chicken or use a trivet to raise it a bit. 1 cup rice, 1 1/4 cup water, 1/2 tsp salt; stir. Cook at the same time as your chicken—3 minutes. 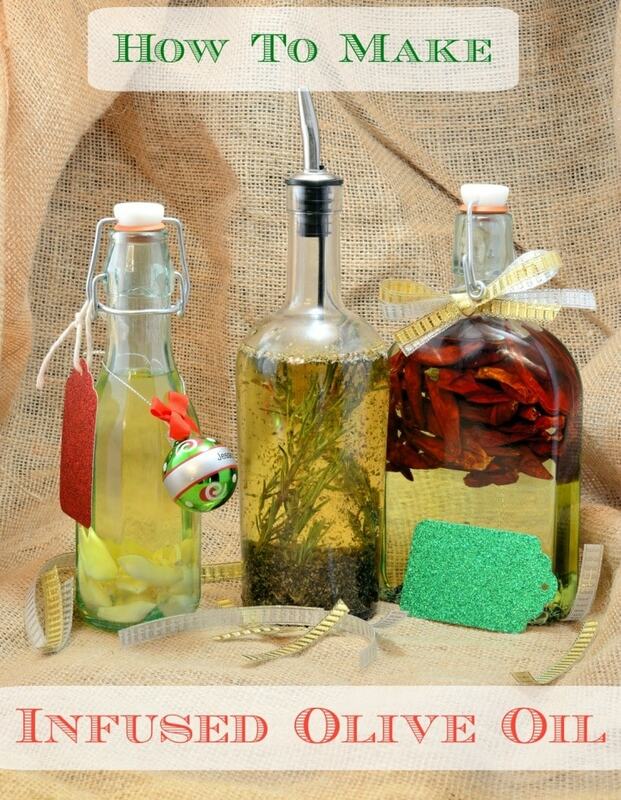 Remove when you get ready to put in your cornstarch mixture. Cover with foil and let steam a little while you are making your sauce. Fluff and serve. Ta da! No cleaning your rice cooker with this meal! Thanks for the great tip – will have to try it. Oh sorry, I just now saw the slow cooker instructions. Thank you! Carrie, Honestly I still love my slow cooker better than my Instant Pot but I’ve had fun experimenting with it. 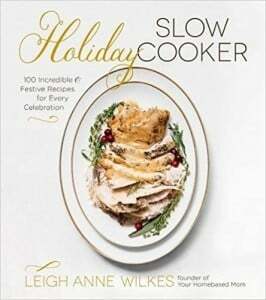 If you love your slow cooker I’d stick with that. 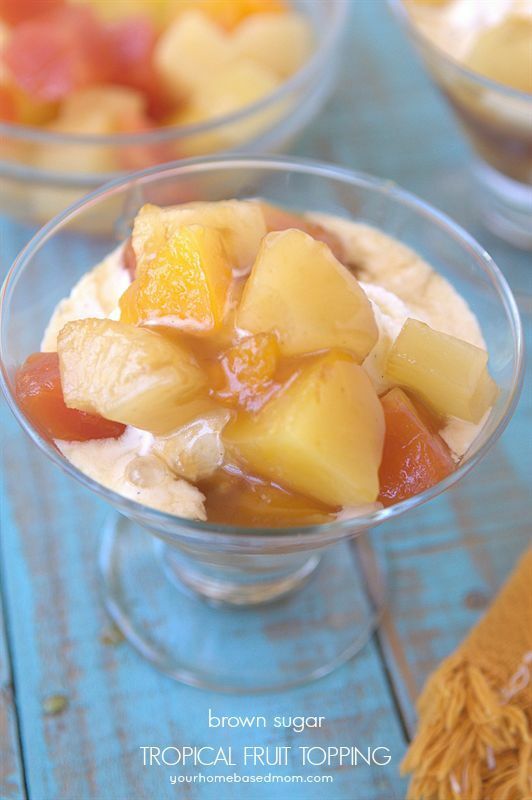 I made this recipe last week and it was delicious! The lemon flavor was very present but not over powering. I used chicken thighs-I prefer those in the instant pot versus breast. The thighs stay more moist. This recipe will be made again and again at my house. 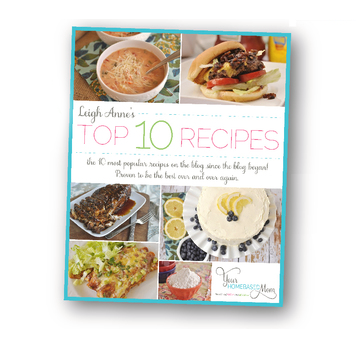 Thanks Leigh Anne for sharing your wonderful recipes! I am so glad you enjoyed it too. I totally agree with you about thighs in the Instant Pot. I much prefer them.